If you’re looking for a short-term professional solution for instant communication, our radio hire service is ideal. The perfect choice for any organisation, company or if you’re looking to hold a private or public event. Also particularly beneficial if you’re looking to reduce your capital investment, it gives you the potential to invest in alternative income generating opportunities. Discover our complete range of fully managed and maintained radio systems which enable you to focus on your core business. We’ll deliver the right radios to meet your particular needs – all at an agreed rate. You’ll also gain the reassurance that all licensing arrangements are covered by us too. 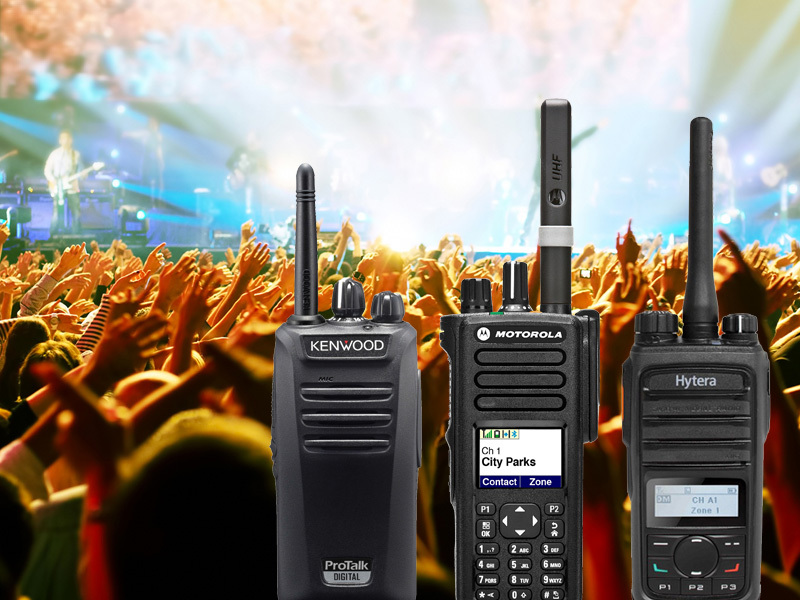 Our two-way radios are the ideal way to help you ensure the professional security, health and safety, plus the smooth running of your event. We’re the supplier of choice for both small or large groups. Arriving completely tuned in and ready to use – straight out of the box – the quickest and simplest way to enable your group to communicate in any situation.